Tower Climber Jobs - What you need to know. Tower Climber Jobs – What you need to know. 1. You may never actually end up working in the state that the job is advertised for. One of the great unknown aspects of being a tower climber is that you travel around a lot. In fact, it has been estimated that out of fifty two weeks in the year, tower climbers will actually only be home around ten weeks. That means an awful lot of traveling around the country, often sleeping out of a truck. Tower climbing is by no means a glamorous job. Therefore, if there is a particular state in which a job is being advertised, a state that appeals to you, and in which you and/or your family would like to live in, you need to make sure that you ask some serious questions of the employers. It is vital that you find out from them exactly how much time they think you will be spending in that particular state. You may find that the headquarters of the company is in that state, but that the job itself that they are advertising is on the other side of the country! Be prepared to ask some hard questions, and receive some hard answers. 2. Lots of jobs may mean lots of people leaving. You may find a state in which there are many positions opening up for tower climbers, but this should ring alarm bells rather than celebratory bells. If a lot of people are leaving one particular company, then you will need to find out why. Maybe their safety record is not that good. Maybe they demand that their staff works too many hours, and doesn’t give them enough reward for that. Maybe that company is not family friendly, and makes it difficult for their employees to see their children enough. Whatever the reason is, you should do your utmost to find out exactly why people are not satisfied with the company that they are working for. It may be that those reasons do not apply to you ñ perhaps you don’t have a family, and want to work a high number of hours. But it is always better to be informed before you start making any big decisions, and sometimes lots of jobs opening up in one area really is too good to be true. On the other hand, it could be that a new company is setting up, which is great! The key here is information. 3. Different states will have different levels of safety. Although there are laws which govern all of the tower climbing regulations across the country, every single different state will have a different way of implementing these rules. It is vital that you understand exactly how working in those areas will effect the working conditions that you will be expected to spend your days in. 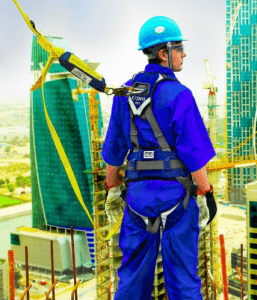 Tower climbing is a dangerous job, and you should demand and expect the most rigorous safety levels within your workplace. Some employers in states do not recognize this, and so it is key that you identify these when you are applying for jobs and because no job, no matter how great, is worth risking your life for.